Brrr! This week has definitely been the turning point into Winter in London. The Winter coat has emerged, along with the scarf and gloves. There’s a crispness in the morning air, the sun harshly rising above the river. 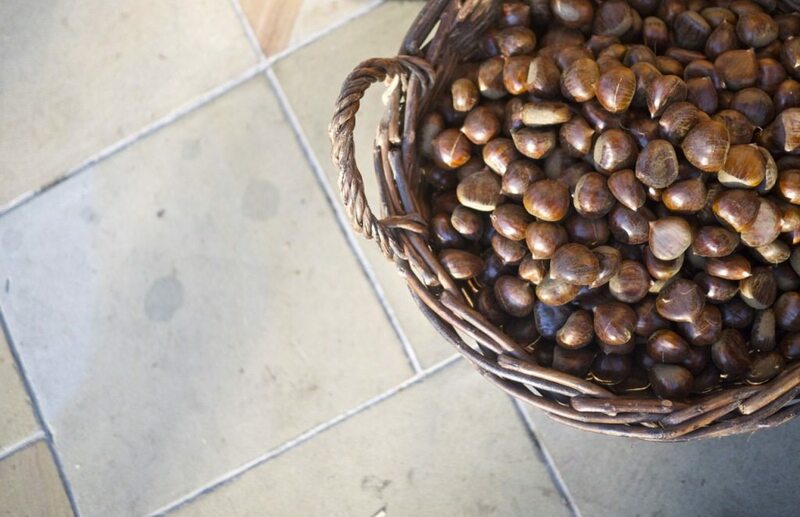 Chestnut vendors have set up their stalls and everyone walking around the city is bundled up against the chill. I’ve been working on some projects this week including a new shop section the blog where I’ll share some of my favourite things in case you’re looking for some ideas to help with the holiday shopping. I know there’s always one or two difficult ones on the list! This weekend, I’m looking forward to a candlelit Spanish tapas night in, a walk across the Thames to visit to the World Press Photo exhibition on South Bank, maybe having a wander with my camera and digging my heels in to a few big projects I’m working on at the moment. Photographer Babycakes Romero asks: Is this smartphone the death of conversation? in a new series of images. Check out his London pictures too. Bored Panda rounds up some of the world’s most colourful buildings. 5 recipes to try: Chanterelle Spätzli with Smoked Salt, Browned Butter + Sage; Cauliflower Cheese; Fudgy, Chewy, Pumpkin Swirl Brownies; Whole Wheat Pumpkin Chocolate Chip Muffins; and Kladdkaka – Swedish chocolate cake. Emily shares her 5 steps for tackling anxiety on Cupcakes & Cashmere. Have you ever been to Vermont in the Fall? Read this and you’ll add it to your list! Ah, Pedlers in Notting Hill! I haven’t been there in ages. Time for a little trip, I think. 5 fun pieces of street art: Mark Samsonovich in NYC; Fintan Magee in San Diego, CA, USA; Bordallo II in Covilhã Portugal; ROA in Schmalkalden, Germany; and Saner in Las Vegas, NV, USA. From a 102-year-old Walmart employee to a 93-year-old park ranger, it’s America’s oldest workers. Love this Autumn outfit. This too. And this.